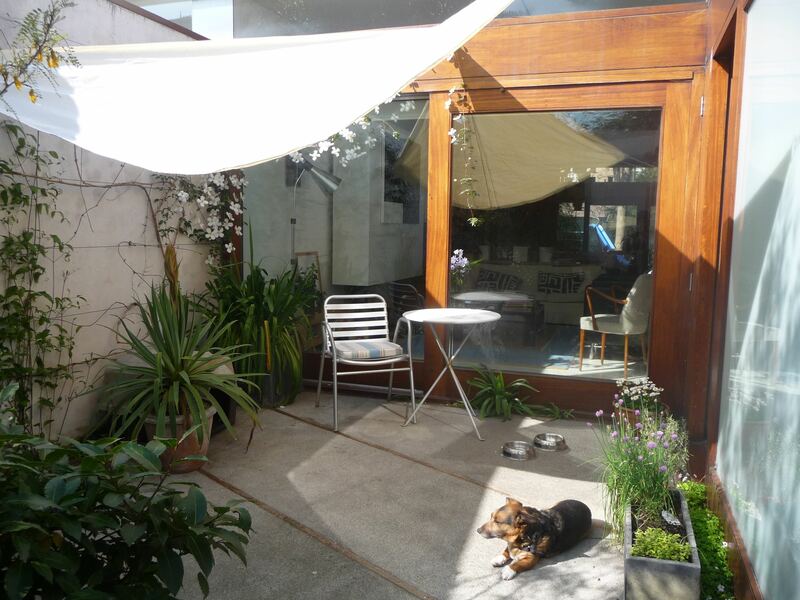 Ho do we transform our home into a summer space? Question: We are holidaying at home this year and want to spend the time making some home improvements, particular improving our patio and its connection with the house. Do you have a few tips? Answer: With the showery weather this summer, awnings are a great way to ensure that you can use your outdoor space in sunshine and in rain. They also make a nice transition between indoors and outdoors. Awnings available range from retractable versions – with manual and motorised options – to simple sheets of sail cloth tied in place when needed. If your doors open outwards, you may need to consider a bespoke solution. Outdoor canopies produce a beautiful effect indoors too of soft light and mottled shade. Dress your front door for the summer also with a canvas cover that will lend seasonal cheer and protect the paint from any sun. Changing your outdoor furniture will also transform your space and there are great sales on at the moment. Aluminium ‘bistro’-style furniture can be left out all year round, meaning your outside spaces are always occupied and welcoming. Coloured cushions on fine days will add a sense of vibrancy and fun. If you prefer wooden furniture, bear in mind where you are going to store the pieces in winter or how you plan to protect them if leaving them outdoors. Folding pieces will ease the issue of storage here. You won’t be outdoors all the time, so assess your furniture layouts inside to maximise space and light. Keep furniture away from windows where possible and place large items away from the source of natural light. Consider how each room is being used. Is each room working as hard as possible? Could an upstairs room be put to better use to enjoy better light on darker days? Where the budget is tight, simple touches like stripey cushions or nautical towels will reinforce that sense of summer on even the dullest day. If you are considering changing the layout of your home or adding a sunroom or extension, always make sure to work with a registered architect. Check riai.ie for a registered architect.